Ivor Novello winning and recently announced Glastonbury headliner Stormzy is pleased to announce his largest Belfast headline show to date at Belsonic on Thursday 20th June 2019. 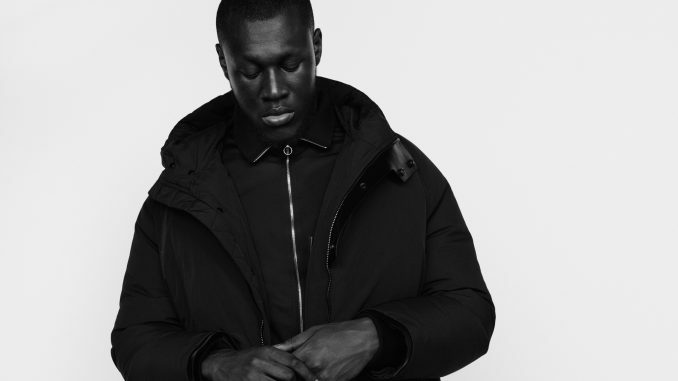 Eighteen months since the release of his debut album, Stormzy can look back on a period in which his career and his life have been transformed. He was already soaring before Gang Signs and Prayer hit the airwaves and the streaming services, but the stellar success of that LP – as its name suggests, a vivid and thrilling journey through soul, gospel and grime – elevated him to an entirely new level of fame. The boy from Croydon, born to Ghanaian parents, is now a chart-topping artist with awards galore: one Ivor Novello, two Brits, and six MOBO Awards. From the outset, Stormzy has always seemed more than a mere MC, or even a musician; witness the short film he starred to promote Gang Signs and Prayer, or his role in the 2016 film Brotherhood. His reverence for the written word has also found expression in the creation of Merky Books, the new imprint he has launched in collaboration with Penguin Random House UK. For Stormzy, it was a natural step. “I’m a lover of literature”, he says of his new venture. A keen fan of Malorie Blackman growing up, and now of the poet Yrsa Daley-Ward, he saw the need to express this passion; and, in the process, and to create opportunities for writers from his background.